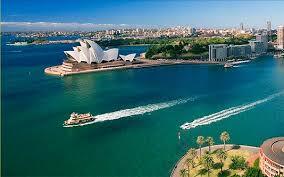 You are here: Home / Australia / Why Visit Australia? Australia is of course one of the best countries in the world. But how would you sell Australia to people who have never been there. Would you talk about the beer? Would you talk about just what a nuisance a Kangaroo is? Would you talk about how great the Aussie accent is? Perhaps it is better just to talk about some of the amazing things Australia has to offer its visitors from all over the world. Avoid the crowds at Bondi by heading to Sydney’s most intimate beach, where you can pitch your umbrella at the very doorstep of one of the city’s priciest homes before floating in the wave-free harbour. Coin-operated public barbecues make this Sydney’s best (almost free) al fresco lunch spot. Take a dip before squeezing your sausages in between a Korean family grill and a Brazilian meatfest, while enjoying the sparkling sea views. The Sydney Aquarium is pricey but you can see plenty of marine life in its natural habitat at Shelly Beach. 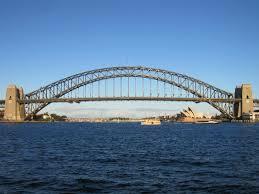 Take the Manly ferry and some swimming goggles. Other good places to spot sea life are Clovelly and Gordon’s Bay. Lancelin’s seemingly endless mountainous sand dunes create the perfect free playground for four-wheel driving, quad-biking and sand-boarding. An easy day-trip from Perth, it’s just an hour’s drive away. You’ll find world-class wave and wind conditions here too, as well as sheltered fishing spots, so pack your tent, surf board, windsurfing gear, fishing tackle, mask and snorkel and make it a weekend break. Just a short walk from the Sydney Opera House, the Royal Botanical Gardens is one of the most beautiful botanical gardens in the world. More than one million botanical specimens may be viewed and there is a train available to take visitors from one spot to another. Moonlight Cinema is as much a place to hang with friends as see a flick.For 16 years, the Moonlight Cinema open-air movie program has screened new releases, classics and cult films around the country. 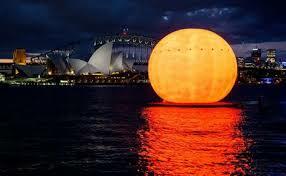 Venues for the 2011-12 summer season — starting in the second week of December — include Sydney’s Centennial Park, Melbourne’s Royal Botanic Gardens, Adelaide’s Botanic Park, Brisbane’s New Farm Park, Perth’s Kings Park and Port Douglas’ Rydges Sabaya Resort. Hug one of the world’s most endearing animals, the koala. Near Brisbane, the Sanctuary is also home to Australia’s native kangaroos, emus, and wallabies. Enjoy feeding the animals and learning more about Australia’s wildlife.